Proud to be Canadian? Prove it. This Canada Day, Canada’s leading online mattress brand, Endy, is teaming up with Canada’s top tattoo parlours to give out free tattoos in three cities: Toronto, Vancouver, and Calgary. Canadians are encouraged to visit endy.com/ink to enter for the chance to win one of 30 free tattoos per city and preview the available designs, created in collaboration with celebrated Canadian tattoo artists. The campaign, called Endy Ink, celebrates the company’s deep Canadian roots, and provides an opportunity for Canadians from coast-to-coast to celebrate the country they call home. Top tattoo parlours involved in the campaign include Toronto’s Ink & Water, Vancouver’s The Fall Tattooing and Calgary’s Ambassador Tattoo. Talented artists from each shop have designed a curated assortment of hand-drawn tattoos, from which winners in each city may choose. As an added bonus, the first winner in each location to select an Endy box tattoo will receive a free Endy mattress in the size of their choice. Each tattoo parlour will be transformed into an Endy pop-up space for the duration of the event. Canadians are invited to visit the tattoo parlour nearest them to experience the award-winning Endy mattress for themselves. Each parlour will be open to the public from 10 a.m. – 5 p.m. on July 1, 2018. Visit endy.com/ink to sign-up for the chance to win one of 30 free tattoos in Toronto, Vancouver, and Calgary, and view the curated assortment of available tattoo designs. Contest closes June 24, 2018 at 11:59 p.m. EST. Winners will be contacted via email on June 25, 2018. For full contest details, visit endy.com/ink-contest-rules. Launched in 2015 and headquartered in Toronto, Endy (endy.com) is revolutionizing the way people sleep, through their ridiculously comfortable, supportive and Canadian-made mattress. 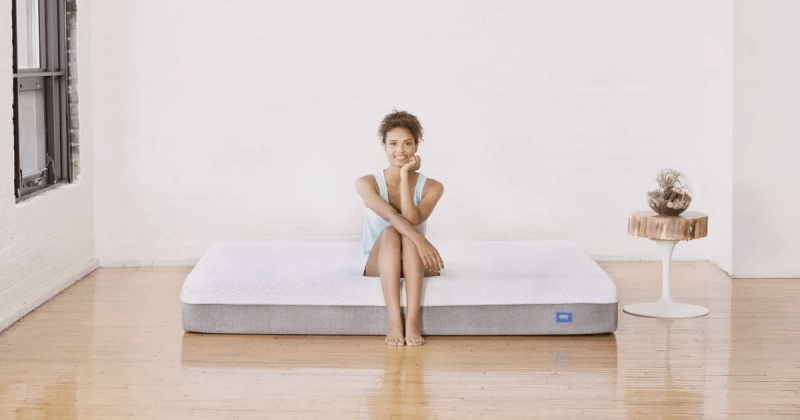 Engineered to offer the perfect balance of comfort and support, The Endy Mattress is made with an open air cell foam that relieves pressure points, eliminates motion transfer, and releases body heat faster than conventional foam. With free shipping across Canada in a box the size of a hockey bag, it’s easy to see why Endy has become the #1 online mattress brand in Canada, with the highest customer reviews and lowest rate of returns. As one of Canada’s fastest growing eCommerce companies and winner of the 2016 Techweek Top 100 Innovator Award, Endy has expanded its assortment to include The Endy Pillow and The Endy Sheets. Mattress Wiki; Canadian company Endy to give away FREE Canada-themed tattoos in Toronto, Vancouver, and Calgary this Canada Day, June 11, 2018.